The Limpopo Valley along South Africa’s northern border with Botswana and Zimbabwe is home to a small number of lions. Yet, there is enough prey and natural habitat to sustain more. So why do they fare so badly here? The truth is that this small population sums up a continent-wide problem – Africa has lost almost 90% of its lions in the last 20 years. Hunters are permitted to shoot them for sport, game reserve managers can euthanise those that are supposedly surplus to requirement and management plans for the species are largely insufficient and geographically patchy. ‘Fat Boy’ is the pride male of a small group of lions living within the eastern section of South Africa’s Mapungubwe National Park, which lies within the Limpopo Valley. When Fat Boy disappeared over the border into neighbouring Zimbabwe and word spread that a licence had been applied for by a local hunter to shoot the lion, it was feared that the Limpopo Valley had lost another pride male. The problem with losing a dominant pride male is that while there may be other males ready to move in to the territory and take over, the new arrivals are likely to kill any young cubs to assert the dominance of their own genes. What’s more, sub-adult male lions are also pushed out of the pride’s territory to fend for themselves, often pushing them to the edges of protected areas into the human conflict zone and forcing them into a life on the run. Thankfully, Fat Boy returned from his foray into new territory unscathed. However, a farmer in the Limpopo Valley was recently fined R55,000 after being found guilty of baiting and illegally shooting a male lion on his land (unfortunately for the farmer the lion was wearing a GPS collar). And while that R55,000 has been invested straight into the Tuli Predator Project who have worked hard to protect these lions for years and who took an active role in the prosecution, the outcome should be seen as less than ideal. A financial settlement with no sentencing surely sets a precedent that the life of a breeding adult of a vulnerable and declining species can be simply paid-off? This settlement may not be ideal but it is not surprising. Fuelled by the ‘Big Five’ marketing concept and the opportunity to make money from international safari-goers keen to see these big cats, many landowners across Africa have bought and sold lions purely with their own economic interests in mind. But, in an ironic twist, has the inception of the ‘Big Five’ and the marketing machine popularising Africa’s wildlife lead to a micromanaged and financially selfish approach from landowners that has damaged the lion population forever? With lion numbers falling, Africa brimming with development and protected habitats being cut-off by human infrastructure, lion specialists Susan Miller and Dr Paul Funston are aiming to establish a better understanding of the impacts of micromanagement (such as inbreeding) on lion populations on small reserves in South Africa. But will landowners and reserve managers be prepared to enter into a metapopulation model, for example, or will ownership of ‘their’ lions get in the way of mapping a recovery for the species? And can the lion even make a recovery like that other great icon of African wildlife, the Elephant or, as a predator, will it continue to come second to human needs in a booming continent? Lock and load…it’s migration time! Quite soon birds will be leaving Europe for warmer climes. Tiny swallows to huge eagles will be heading Africa-wards to escape the northern hemisphere winter. However, many will not get there and even fewer will make it back again to breed in 2011. Some will be predated along the way and others will fall to other natural influences like severe weather or poor navigation. But it is the human impact on the hundreds of species that make the journey across the Mediterranean that is most worrying. At many significant points along the way, human development is encroaching on natural habitat that has been vital for migrating birds for centuries. The vast amounts of energy used when flying such long distances makes resting and refuelling stops essential. If these birds can’t find enough to eat along their journey, chances are they will starve and perish. With booming human populations, this global fight for space is a sensitive issue that has no quick fix or easy solution. Similarly, increasing energy demands and the quest for renewable energy resources has necessitated the erection of wind turbines that increase the risk to birds of mid-air collisions. 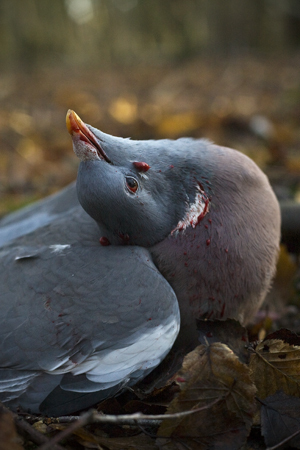 However, one fight that migrating wildlife is losing that can and should be remedied more easily is the illegal shooting and trapping of migrating birds by poachers around the Mediterranean. BirdLife Malta works tirelessly to monitor and reduce activities on the archipelago that threaten wild birds yet the high density of hunters makes their job difficult. Relatively few birds are resident on Malta in comparison to the 170 species that occur during periods of migration, making spring and autumn the height of BirdLife’s efforts. 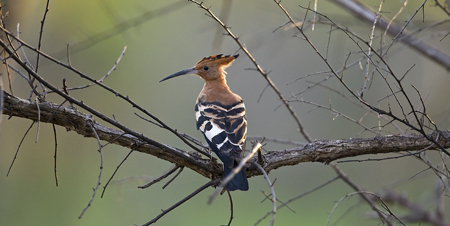 Almost anything avian is targetted by illegal hunters from beautiful hoopoes and European rollers to black storks and lesser-spotted eagles (check out BirdLife’s 2008 illegal hunting and trapping report). Birds of prey are specifically persecuted and so it’s not surprising to learn that Malta’s last remaining resident pairs of peregrine falcons and barn owls were all shot by hunters. 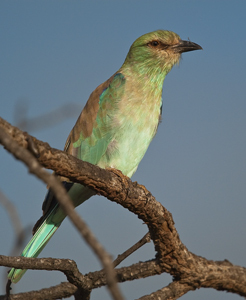 In 2009, volunteers at BirdLife’s annual raptor camp found the remains of over 200 birds stashed away in the Mizieb woodland and the reports and video footage captured by BirdLife staff and volunteers show that hunters are prepared to flaunt the laws protecting wild birds right under the noses of the authorities. 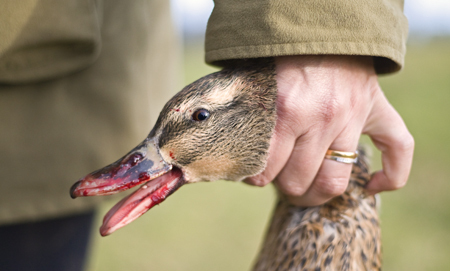 The presence of dedicated conservationists and their links with the local police may help to deter some poachers on the islands yet the confiscation of smyrna kingfishers and lappet-faced vultures from Maltese hunters after visits to north Africa shows just how far some individuals are willing to go to carry out their killings. It is thought that Maltese poachers bribed their way in to Egypt’s Gebel Elba National Park before smuggling guns and ammunition through various checkpoints. But Egypt is not the only other important site for conservation where birds are at risk on the Mediterranean. It is believed that bird trapping in nearby Cyprus accounted for an estimated 261,000 birds on the island during spring this year. Top conservation blog ‘Migrations‘ gives more in-depth information on the situation in Cyprus where many migratory birds are trapped for the restaurant industry. 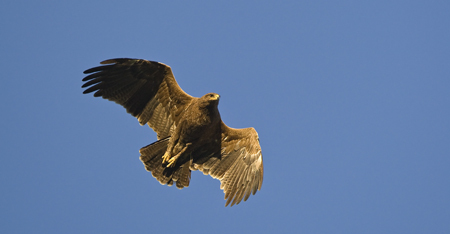 But if you want to help put a stop to the illegal killing of thousands of birds each year and also get to see the biannual spectacle of this mass migration then check out BirdLife Malta‘s autumn Raptor Camp and its springtime equivalent Spring Watch.